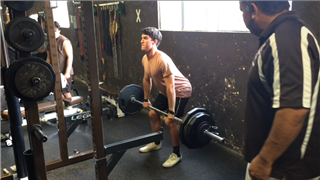 The Strength & Conditioning program at Crespi Carmelite High School serves all 13 athletic programs through strength & conditioning courses and before and after school programs. The Student Wellness program serves the entire student body including faculty and staff. In conjunction with the counseling department, we look to foster the development of the mind, body and soul. Our mission is to provide research-based training that builds the “complete” student-athlete capable of competing in sports at the highest level and to help our student-athletes learn discipline, teamwork, and responsibility while developing confidence and a strong work ethic. Our training programs are designed to develop both physical and mental toughness with the overall goals of performance enhancement & injury prevention. 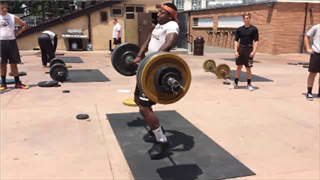 Crespi Carmelite High School student-athletes and the strength and conditioning staff have very high expectations. Much of what is done in the weight room is designed to seamlessly integrate with the mission of the school while striving for athletic excellence. We use a variety of training to enhance mobility, stability, strength, power and speed. Becoming technically proficient in all lifts is the first priority before making increases in resistance. We primarily use “free weights” for our “ground-based” training because it requires balancing the resistance through multi-plane movements, which translates to sport skills. Necessary modifications may be made because student-athletes will have varying levels of proficiency in movement, technique and strength. We will perform a variety of exercises and increase resistance levels progressively. Some of the variety in our training includes performing Olympic lift variations, plyometrics, powerlifting, body weight training and medicine ball circuits. Most people understand the value in enhancing strength, power and speed, but not many understand mobility and stability. Joint stability is the foundation for developing strong muscles that surround a joint which helps prevents injury and enhance performance. Joint mobility is the foundation for developing efficient movement, which also helps prevent injury and enhance performance. Therefore, joint stability and mobility will be a daily training focus. Students, staff and families across the country face increasing health risks that can affect their wellness and ultimately their quality of life and life span. At Crespi Carmelite High School, we recognize the critical relationship between student health and student achievement in academics and athletics. We are committed to empowering students, staff, parents and our community with the education and the environment that supports a healthy, productive life. 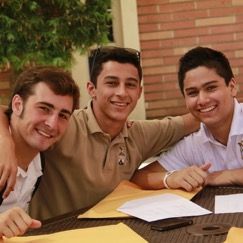 Our mission is to incorporate activities and events into the school curriculum that will enhance learning, encourage healthy lifestyles, build camaraderie, and provide support and motivation for the Crespi community. Crespi Carmelite High School seeks to promote wellness by supporting the following six components of the total learning environment: nutrition, regular physical activity, social, emotional, behavioral and spiritual health. Short and long-term benefits of our wellness program include fostering the overall development of the mind, body and spirit, improved student attendance, improved academic performance, improved athletic performance, motivation to become better self-managers of healthy lifestyle choices, develop and practice strategies to better cope with social/emotional stress and empowering life-long adoption of healthy behaviors. In the area of proper nutrition, studies show that there is a link between nutrition and cognitive and physical functioning. In addition, many of the leading causes of death in the United States such as diabetes, heart disease, stroke, obesity, hypertension, and cancer have a nutrition-related component. Recently, we have reviewed our school food and beverage offering with students, staff and parents and have taken further steps toward the goal of improving the quality of nutrition on campus. Below are several helpful links to help educate and improve nutrition choices. Approximately 90% of the body’s immune system calls the gut “home”. By eating a healthy diet, you are arming your immune system with all that it needs to fight off invading viruses and bacteria. Eat plenty of fruits, vegetables, nuts and seeds. Research shows boosting these foods improved antibody response, especially to fight off respiratory illnesses. Eat probiotic-rich foods, such as yogurt, kefir, kombucha and sauerkraut. Several studies indicate that probiotics improve the immune system. Probiotics are also available in supplement form. Drink elderberry syrup. Elderberries have been used for centuries because they are high in flavonoids (immune-boosting compounds). If you make your own, make sure you know what you are doing…. Raw or undercooked elderberry can be poisonous! Add garlic and mushrooms to your food. Both are broad-spectrum antimicrobial agents and immune boosters. *Heat deactivates a key ingredient so raw uncooked is best. Supplement your diet with vitamins & minerals. Take a multivitamin daily to increase the chances you are getting sufficient doses. A couple of important minerals to supplement are iron, zinc, magnesium & potassium. BOTTOM LINE: there is evidence that various micronutrient deficiencies (zinc, selenium, iron, copper, folic acid and vitamins A, B, C & E alter the immune system. A balanced healthy diet is the best thing you can do to strengthen your immune system. Your liver functions to filter your blood. If it is overworked, it will be less efficient at flushing out toxins as easily as a healthy liver. Eat more cruciferous vegetables(cauliflower, broccoli, kale, cabbage, etc.). Phytochemicals found in cruciferous vegetables - sulforaphane - can stimulate enzymes in the body that detoxify carcinogens and activating detoxification enzymes before they damage cells. Cleanse your liver. Drinking water with an added citrus fruit, such as lemon or lime, can help cleanse the liver making it a more efficient filter. Exercising does two things to help boost immunity. First, it increases circulation which allows immune cells to move more effectively throughout the body, making you less prone to illness. Second, sweating not only helps cool the body temperature, it also is a method for removing toxins from the body. Sleep deprivation raises the level of the hormone cortisol, which will suppress the immune system. Adults should aim for 7-9 hours of sleep a night. Excessive stress also raises the level of cortisol suppressing the immune system. Exercise, spending time with friends and taking time to enjoy beautiful scenery help to manage stress. Getting some sun (approximately 15 minutes at a time) is sufficient to help your body synthesize Vitamin D, which has recently been shown to help as much as Vitamin C to help immunity. Wash your hands with soap and warm water for a minimum of 20 seconds to remove germs you can pick up from the environment. (Also, good to have hand sanitizer available in your workplace).